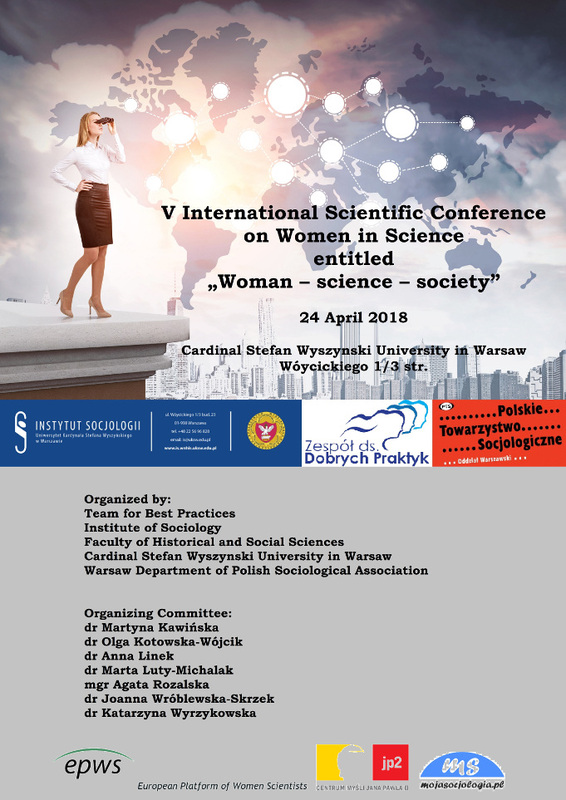 which will be held on 24 April 2018 at the Institute of Sociology at the Cardinal Stefan Wyszynski University in Warsaw (Wóycickiego 1/3 str., Warsaw, Poland). 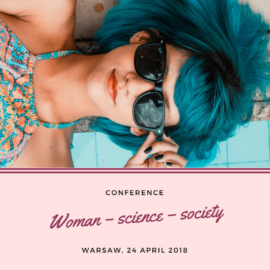 The aim of the fifth of annual conferences entitled „Women in science”, is to continue the discussion of scientists, representatives of various disciplines, organizations and parties involved and interested in issues related to the wider presence of women in science, public space and other spheres of life. This year, the discourse will be focused on the following areas: women’s scientific work, women’s status in science, women in urban and rural space, women and art, professional work of women, women’s domestic and family responsibilities, work life balance, embodied femininity – health, physical condition, image of women, self-perception, women in relations with others, role of women in society etc. We are also open to other topic suggestions. We invite researchers representing various academic disciplines: sociologists, psychologists, economists, lawyers and representatives of other sciences interested in the subject to attend the conference. 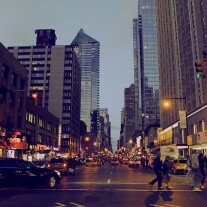 We accept all paper types, including conceptual papers, research papers and case studies. 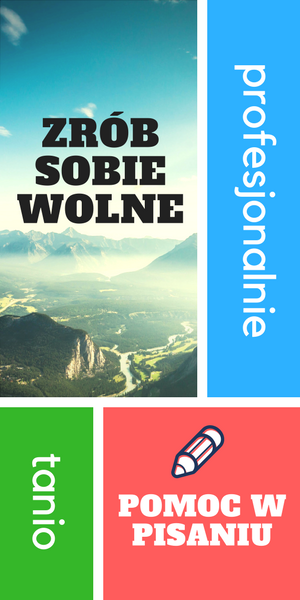 Abstracts in Polish or English should be send by 31 January 2018 to email address: womeninsciencezdsdp@gmail.com. They should not exceed 500 words. Confirmation of acceptance will be sent by 15 February 2018. Organizers plan to publish book of abstracts. In case of any questions regarding conference, scientific program or submissions, please do not hesitate to contact us (womeninsciencezdsdp@gmail.com).